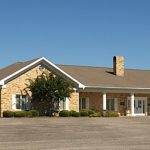 Stephens Funeral Home has been serving the community since 1929 with locations in Meridian, Union, and Dekalb. Our professional, experienced and dedicated staff provides exceptional, compassionate care to families at the most difficult time in their lives. We believe that funeral services should reflect the lives of those being honored, and we strive to create meaningful tributes to those who have meant so much to family and friends. Whether choosing a traditional burial or cremation, we will help you create a meaningful memorial that will reflect the individuality of your loved one. A funeral represents the opportunity to reflect on the meaning of a life that has been lived, and to expand on the meaning of that life with family and friends. Our funeral directors and staff are here to offer guidance and address questions and concerns about the funeral process during the most difficult time. We offer seminars about planning ahead for your funeral needs, and welcome the opportunity to present this valuable program to church and civic groups. We understand losing a loved one is an emotional and difficult experience, and we are committed to assisting families with compassionate, professional and personal service. Please contact us if you need immediate assistance, or if you would like more information about our services. Our staff is available 24 hours a day to serve our community.